‘수륙재(水陸齋)’는 온 천지와 수륙에 존재하는 모든 고혼(孤魂)의 천도를 위하여 지내는 의례로 개인 천도의 성격을 띤 영산재에 비해 공익성이 두드러지는 불교 의례이다. 조선초기부터 국행 수륙재로서 대규모로 설행되어 왔던 사실이 『조선왕조실록』을 비롯한 문헌에 나타나 있다. 동해 삼화사는 조선전기 국행수륙재의 전통을 계승하는 동시에 지역사회 통합을 위한 고혼 천도의 수륙재 전통을 가진 사찰이며, 의식과 범패, 장엄 등을 아울러 전승하고 있다. 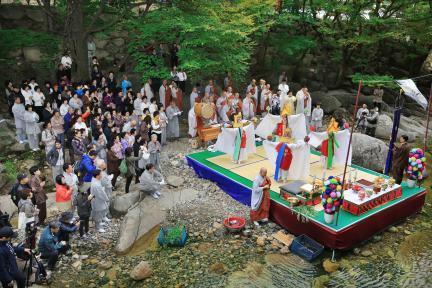 Suryukjae (Land and Water Rite) began to be performed during the early Joseon Period (1392-1910) to guide all the spirits of beings that lived in both water and land to the peaceful other world. 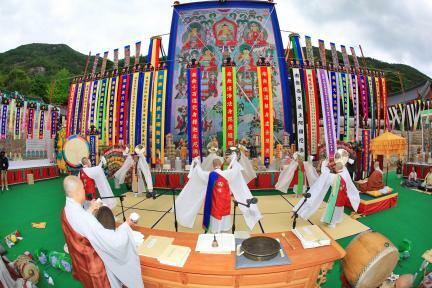 The rite has high historical and cultural significance and aesthetic merit as provided by, among other old texts, Joseon wangjo sillok (Annals of the Joseon Dynasty); it is performed night and day for the peace of the entire living and the dead. 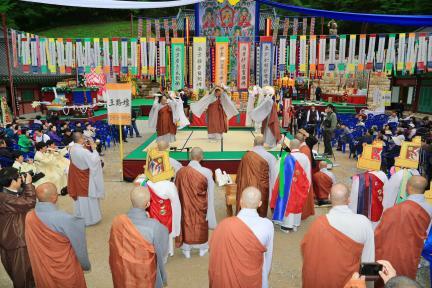 On the other hand, the Yeongsanjae (Celebration of Buddha's Sermon on Vulture Peak Mountain) was performed for the peace of individual beings. 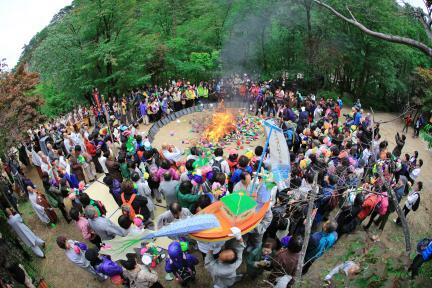 Samhwasa Temple in Donghae had been a main venue for such rites, which aimed to bring peace and unity to the local community. 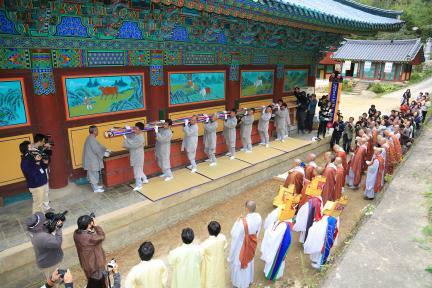 It preserves the tradition established through state-commissioned events during the early Joseon Period as well as tangible elements such as the altar, architectural adornments, and ceremonial proceedings with prayer chanting.